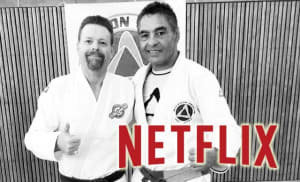 News just came out that Gracie Jiu-Jitsu is getting it's very own origins story on Netflix. This story will be told by the Brazilian film maker José Padilha, known for the police thriller Elite Squad along with Netflix’s crime dramatization Narcos (which is set to launch season 2). The Gracie family is a prominent martial arts family from Brazil known for their development of Brazilian Jiu-Jitsu (BJJ). 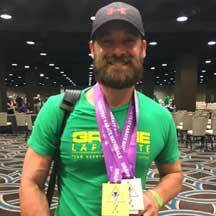 They have been successful in combat sport competitions including mixed martial arts (MMA), vale tudo and submission wrestling events. In 1901 Gastão Gracie from Rio de Janeiro, decided to became a business partner of the American Circus in Belém. In 1916, the circus presented Mitsuyo Maeda, a Japanese judoka and prize fighter. Maeda's teachings were then passed on to Gastão's sons Carlos and Helio Gracie which are both widely considered as the founders of modern Brazilian jiu-jitsu. For a number of years, the Gracie family ran no holds barred matches called Vale Tudo. Helio Gracie's son, Rickson Gracie, is regarded by many as the greatest BJJ practitioner of all time. He won several Vale Tudo fights in Brazil and Japan during the 1980's and 1990's. Rickson also became a star in the MMA community when he released the great documentary "Choke". “Rickson Gracie is one of the greatest fighters of all time and we are honored to share his story" says co-producer Greg Silverman. For years I've been saying this needed to be a movie and it's finally happening. No word yet on the estimated release date, but hopefully it doesn't take long.